Organic microelement chelated as an iron-amino acid complex and protected with glycine for production animals. Iron (as glycine iron chelate): not less than 17% by weight. 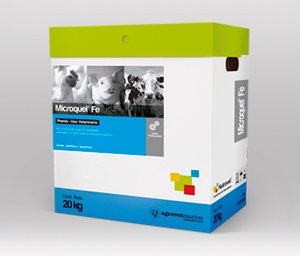 Microquel® Fe also contains 22% of the amino acid glycine of high nutritional value. 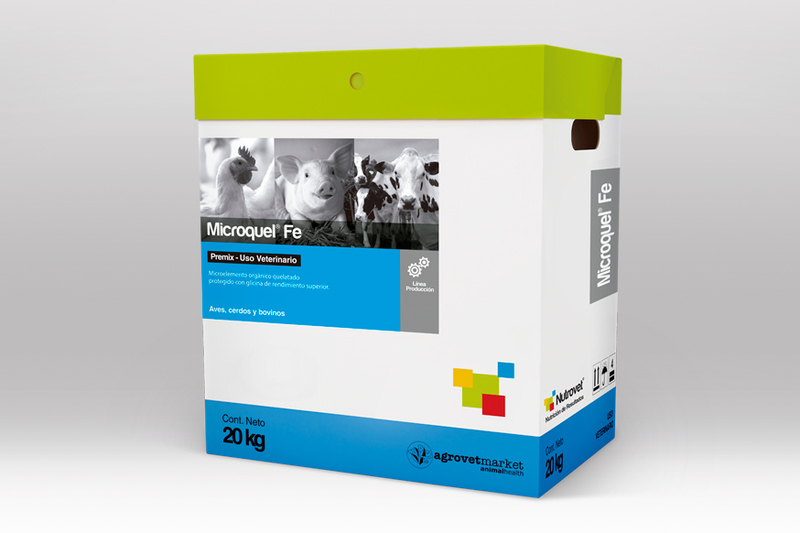 Microquel® Fe is a nutritional ingredient for the feed of production animals, which contains organic iron in the form of a highly bioavailable glycine chelate. Glycine is an amino acid and is the simplest found in proteins and has only two hydrogen atoms as the side chain. Due to this, the chelation is optimal and can be adapted to both a hydrophilic and a hydrophobic environment. This chelation process gives a bioavailability to copper close to 100% for the animal. Poultry: 300 - 500 g / MT of feed (50 - 80 ppm Fe). Swine: Piglets up to 25 kg of P.v. 300-600 g / MT of food (50-120 ppm Fe); growing and fattening pigs 300 - 350 g / MT of food (50 - 60 ppm Fe); Marranos 250 - 475 g / MT of food (45 - 80 ppm Fe).